While taking time out from blogging and the world I went to hang out on twitter and I think I may have screwed my head up more but I discovered a few things too. I always say you have to try something once and twitter I just wasn’t interested in. I made my account for my blog and my nieces ran it for me untill a few weeks ago, then I took control. They already had followers and were following roughly the same amount of people. I decided to give it a try finally, as I was looking for a change. When they gave me control of the account they made it perfectly clear the one golden cardinal rule of twitter is…. ” Never follow more people than what you are being followedby ” Ok got it! so basically if I have 500 followers i have to keep the people I’m following lower than that… ok that also means if I want to follow someone I have to either up my followers or delete some of the peeps im following. Do you get it? eh don’t worry it’s annoying I know. But I did notice many people weren’t following this cardinal rule so what the hell, I thought let’s just enjoy twitter, to hell with teeny boppy rules and being uncool. Like a fb wall you have a twitter time line. I was following 500 people and my god u cant keep up. If you don’t pay attention for a few minutes it’s like you’ve missed a lifetime of tweets. The notifications can hit anything up to 200 in the space of 2/3 minutes. And most of it was not even interesting. I mean how much trash can a person tweet? I can understand you talking to other tweeters but some people just jibber away, whether they get a reply or not. I quickly realised I don’t like talking to myself, basically I need attention. I made some good friends there, found some old ones and fell out with a few too. Not bad considering I’d really only been there a week. But twitter is basically for those who exist only in the centre of their own universe and nobody else exists alongside them. How can you tweet all day long with no one retweeting your tweets or replying you? What do you get out of it? There is one guy there who I must applaud for staying awake 24/7. He spits those tweets out like nobodys business. He tweets while he is eating, walking, sitting, shitting. How do I know? because he tweets every few seconds. Just quote after quote after quote. I was wondering how he manages this. Could there be an auto service on this? Or perhaps more people running the same account in different time zones. Perhaps that’s how manages round the clock tweeting. They’re are quite a few who do the quote tweets, and it’s not just a quote here or there, they are non stop. I mean get a life! My timeline was being trashed by these little selanators and bliebers. ( my nieces are fans ) They constantly tweet about how much they love one or the other or despise one or the other. I learnt selina and justin are dating (or were ) and bliebers hate selina because they whole heartedly believe that selina is “ugly” and “talentless” and “is using Justin” Anyway I got sick of it and against my nieces wishes ( they warned me to not unfollow them as they will then unfollow me ) I started to unfollow anyone who had selenatar or blieber in their username or mentioned them in their tweets. After I unfollowed about four of these weirdos my timeline stood still and went dead. It stopped moving. Completely. I tried to refresh, nothing. I signed in and out, nothing. Turned the phone on and off, nothing. Checked I was still connected to my wifi, it was but nothing. I even downloaded another twitter aap, yet still nothing. Then it hit me, it was these four little brats that were wrecking havoc on my timeline, totally spamming it and trashing it. After a little while it did move again but not with the speed it was before. Another person who never shuts up on twitter is PierceMorgan… I can understand little bliebers and selenators tweeting non stop about their crush and passion but what excuse does a grown man have? All I can say to him is… get some sleep. He is there 24/7 tweeting and tweeting and tweeting. Get some help too Pierce!! One was for the quoters, because some of them are good quotes and funny too. The Second one was for the celebrities I like and follow or just find interesting. The third was for my mates. Viola! problem of a spammy time line sorted. Could kick myself for not having done it earlier. But I’ve lost my interest in twitter, like I said I don’t like talking to myself. I do that enough in my own head, so why do I need twitter to do it more. I think I will stick to blogging and Facebook. I will on the odd occasion check in on twitter. If anyone mentions me there I will happily reply but I refuse to talk to myself there as it just doesn’t make sense to me. I can understand celebrities and businesses tweeting to get a point across but normal people shouldn’t talk to themselves. Speaking of celebrities. One last thing Now if you are going to have twitter accounts for your loyal fans at least have the decency to reply back to them when they are begging for your attention relentlessly. You are fine tweeting other famous celebrities but whats wrong with replying to a keen little kid who loves you like crazy and just wants you to answer a question or a mention? I mean just add them all and make your lists like I did. Seriously, some of you don’t deserve the love and devotion you get from your loyal followers. I was really annoyed at how a lot of these celebrities just ignore people tweeting them but as soon as another celebrity tweets all the celebrities join in but ignore everyone else. So arrogant!! Anyways that’s my thoughts and feelings on twitter. If you want to share your own on this matter please feel free to do so. Look forward to hearing from you. They keep ruining my sleep. I keep getting told of for sleeping too much and I really don’t see what the problem is. I love to sleep, I plan my day around my sleeping. Most of the time all I think about the next time I can get a chance to lie down and get some more sleep. It’s just the way I am and always have been. I think one of the issues is that I go to bed really late at night and am back up early next morning, so I end up spending the rest of the day making up for it. But apart from nagging family and friends ruining your sleep these are other things that can ruin your sleep too. I have one of these issues just about every night when I try to sleep somewhere that is too cold, too warm, or too noisy. It’s no use trying to sleep somewhere that is stimulating to our senses. If the stereo is blaring, the lights are on, and it’s stifling, how can you expect to sleep? Subtle variations on this theme will likewise make it hard to catch a few winks. The other night I was freezing when the power went. I was awake all night. Take prolonged naps. This one may be a little controversial. Some cultures promote the midday nap, and many people swear by them. If you sleep well at night, it may not be a problem. However, if you are having trouble sleeping then, the last thing you need to do is to add fuel to the fire by sleeping some during the day. Naps diminish your ability to sleep at night, and excessive daytime sleepiness may suggest a sleep disorder. Stay active until the moment you hop into bed. Sleep is a quiet, relaxing activity, so it doesn’t make much sense to try to transition to that directly from something that is quite the opposite. Our bodies don’t do well with abrupt changes. The same is true for getting ready to sleep. Quiet sleep rituals such as reading, listening to calming music, or taking a nice bath helps prepare us mentally and physically for sleep. If I take a bath or shower I’m wide awake! Exercise before bed. Although it is ideal to exercise every day — and this will likely ensure a good night’s sleep — doing it right before bed is a bad idea. It causes difficulties as your body will be revved up when you should be winding down. I’m too lazy to exercise. Vary your sleep time from one day to the next.We are creatures of habit, and our sleep is no exception. If you go to bed and get up at different times every day, your body will have no sense of when it is supposed to feel tired and sleep. This ultimately depends on our natural clock called the circadian rhythm, and varying the times we are asleep can negatively influence it. By keeping a consistent schedule, we are able to sleep better. A. Make a list of 5 things that are in reach. B. What is your favourite holiday? My birthday… When I’m Queen (coz right now I’m a princess) it will be a national holiday. C. What is your fashion style? Silk frocks and my tiara. E. What do you hear right now? My two nephews talking about ordering pizza the little ( whose 9 ) has offered ten pence towards his share and the older one isn’t amused. F. Who was the last person you hugged? G. What random song just popped in your head now? H. What did you do today? I. What was the last text message you received? J. What websites do you always visit when you go online? K. What is your next big planned purchase? A flat that needs renovating, sale will be complete in a months time, can’t wait. L. If you could afford to go anywhere in the world, where would you go? M. Where do you see yourself in 5 years? N. Where’s your tattoo/Where would you like a tattoo? Don’t like them and would never get one. O. What are you doing this weekend? P. If you could play any musical instrument, which one would you play? Q. What’s the one thing you need the most now? R. Are you a creeper? What’s a creeper, I’ve never heard of it… is it someone who creeps around? It would never work for me, you can hear me before you see me. I’m just too loud. S. What is your dream job? A dream job would be able to boss everyone around and have so much power, be able to bring world peace. Stop all wars, famine and human atrocities. T. What’s the last good movie you saw? Bodyguard – Salman Khan and Kareena Kapoor… it was really funny and silly this movie.. then it got really touchy and feely. U. What’s your favourite quote? V. What is your favourite colour? Always make sure gowns are silk. Y. What do you love to do when it is drizzling? Please do take up the Tag and lets hear what you have to say …. The new iPhone has just been announced! 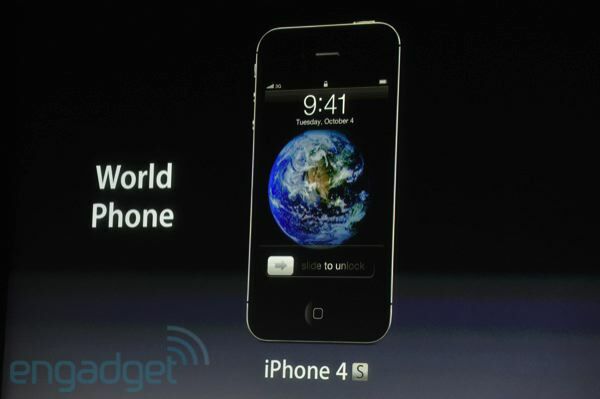 And it’s called the ‘iPhone 4S’. It will have Dual Core processor, Up to 2X faster CPU, Dual Core Graphics and Up to 7X faster graphics. 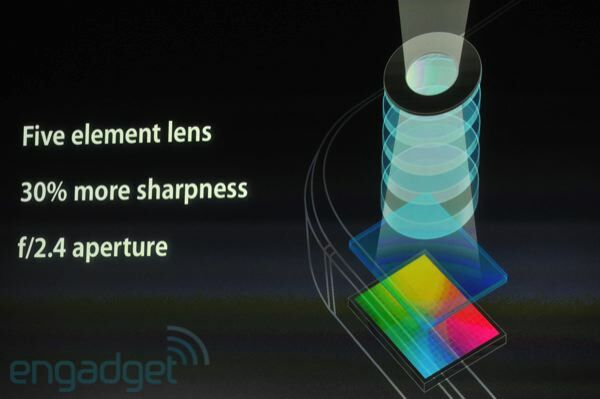 The Camera will be 8 megapixels, all new optics and a 1080p HD video recording. Another amazing feature in the iPhone is ‘Siri’. 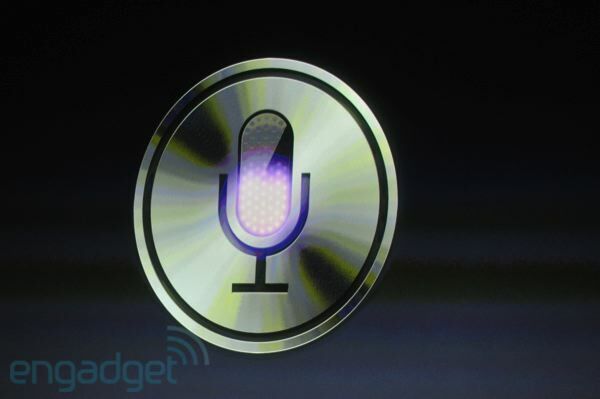 Siri is a voice control feature. You simply tell it something or ask it something and it replies. Scott Forstall demonstrated Siri by asking the iPhone “What is the weather like today?” Siri responds: “Here is the forecast for today.” It also uses your voice to send messages, set reminders, search for information and more. Some people are extremely let down because most people were expecting the iPhone 5. 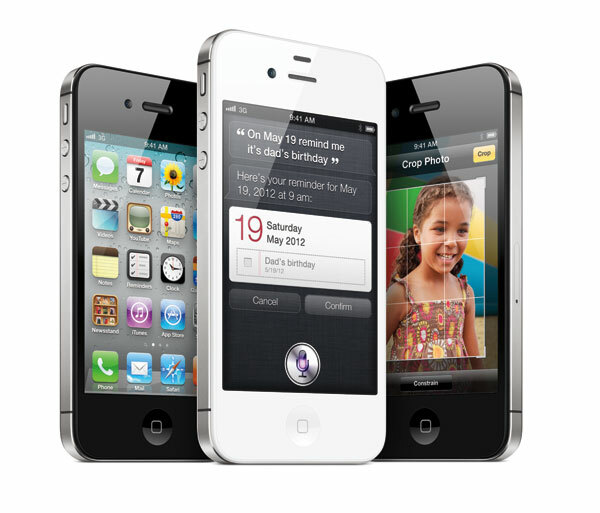 But in my opinion, the new iPhone is very good even if it is just called the iPhone 4S and not iPhone 5. 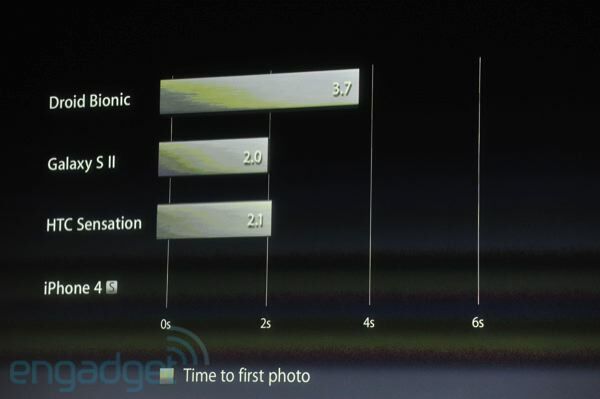 The iPhone 4S will run iO5, which has a Notification Centre, iMessage and over 200 new features. Another very cool feature is iCloud, which stores all your content and pushes it to all your devices. It will be available in Black and White. 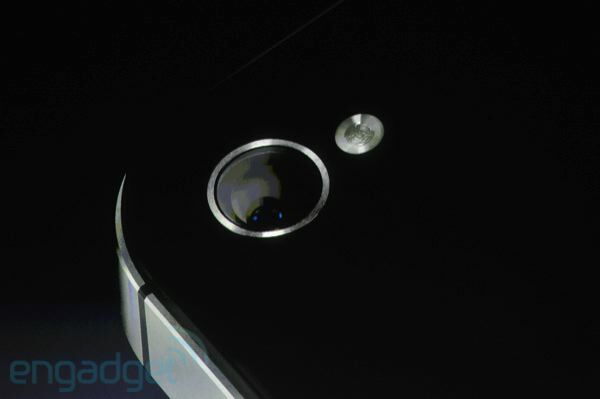 The 16GB version will be $199. 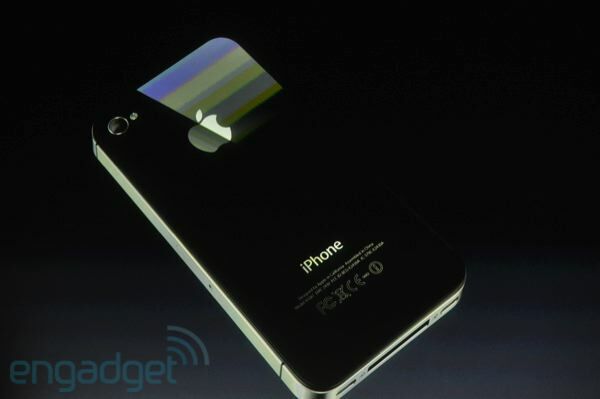 The 32GB version will be $299. And the 64GB version will be $399. All on a Sprint, on a two year contract. I don’t usually post stuff like this, but it was too good to pass up. Apparently Justin Bieber uses a Jailbroken iphone. As evidenced in one of his tweets, Justin Bieber uses a jailbreak Twitter extension called ‘qTweeter’. With over 11 million followers, I am sure Bieber is familiar with the best Twitter apps out there. There is really nothing else to say about this except, I hope Justin reads http://www.idownloadblog.com/ for all his Jailbreaking needs.